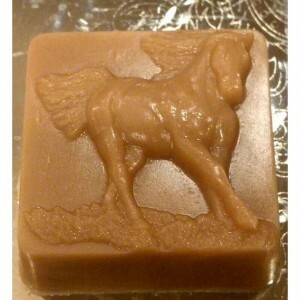 This chunky 6 oz dome bar is made with moisturizing Goat's Milk. 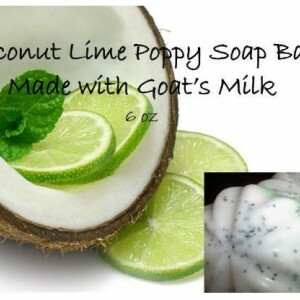 Goat's milk contains alpha-hydroxy acids which help remove dead skin cells from your skin's surface. This leaves new cells on the surface of your skin that are smoother and younger looking. 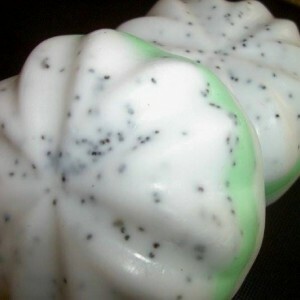 I have also added a sprinkling of poppy seeds which is a natural way to exfoliate your skin without using any non-natural abrasive particles. 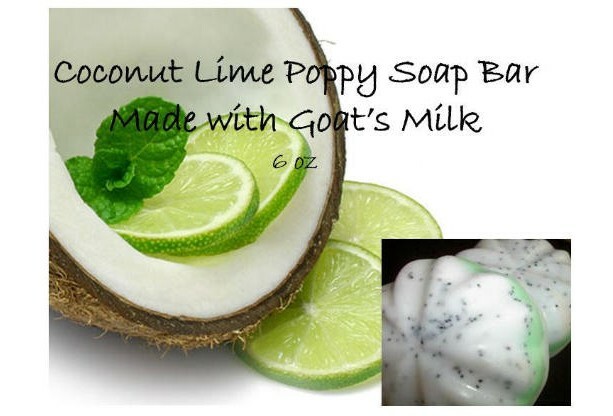 The scent of this bar is Coconut Lime and it is so tropical! This bar is hand crafted personally by me upon order, so that you receive the freshest product possible. 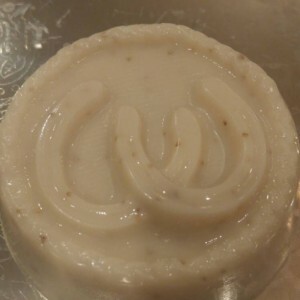 You will receive 2 soap bars with this order. * * * * * * * * * * * * * * Our Promise/Our Mission: At Spa Kissed, we use only detergent free materials. We spend time to research just the right combination of ingredients and fragrance to ensure that you are getting a quality product. At Spa Kissed, our focus is not in the "look of the bar", but rather the skin care it provides. But nonetheless, because each and every one is hand crafted, our end product is beautiful! 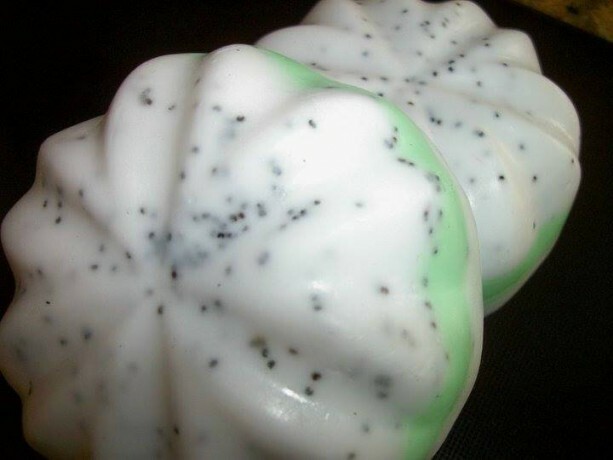 Our soaps are not hard and dry like many of the "cold processed" bars that you may have seen. Rather, our bars are emollient and dense and always contain ingredients that provide moisturizing benefits and leave skin soft and supple. In fact, you can also use them on your facial area. Spa Kiss does not disappoint. Love the skin you are in with Spa Kissed products!